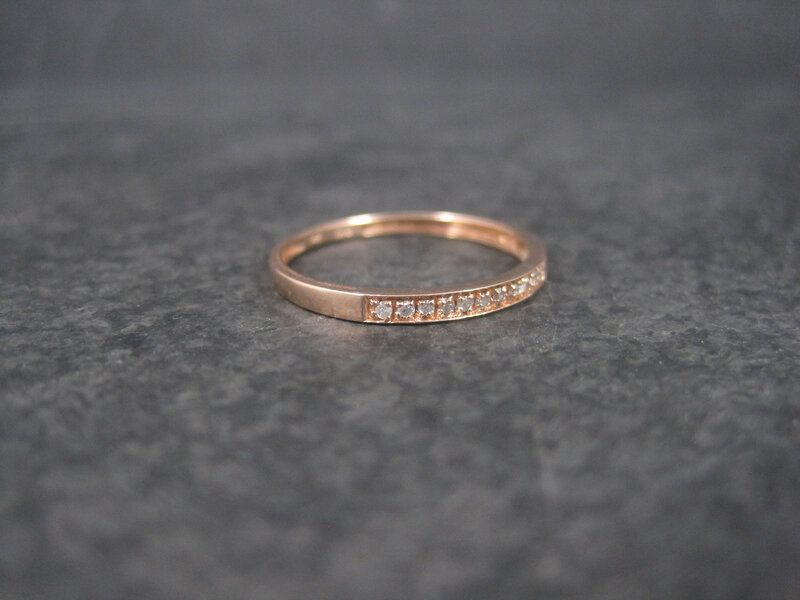 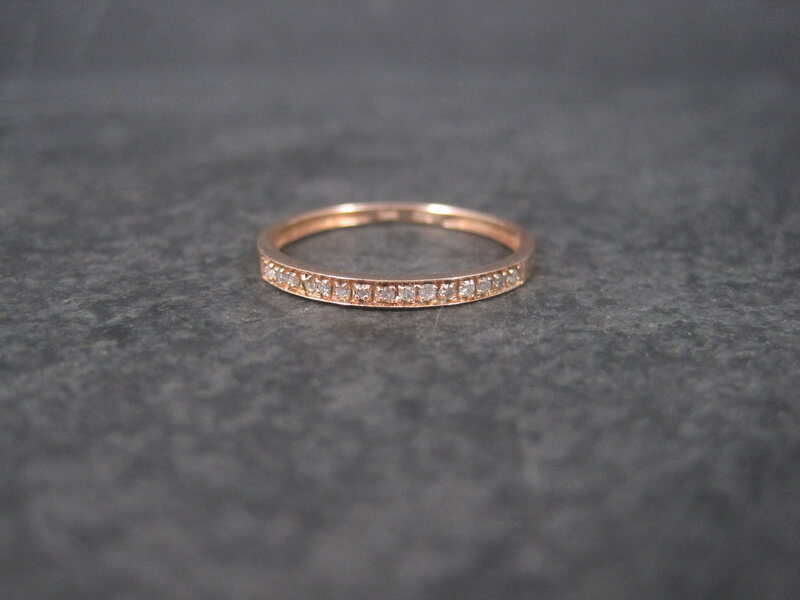 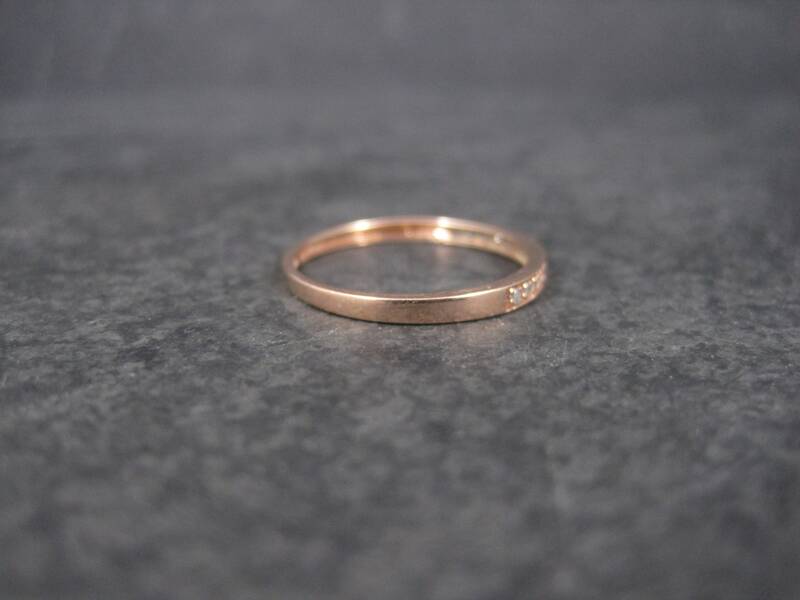 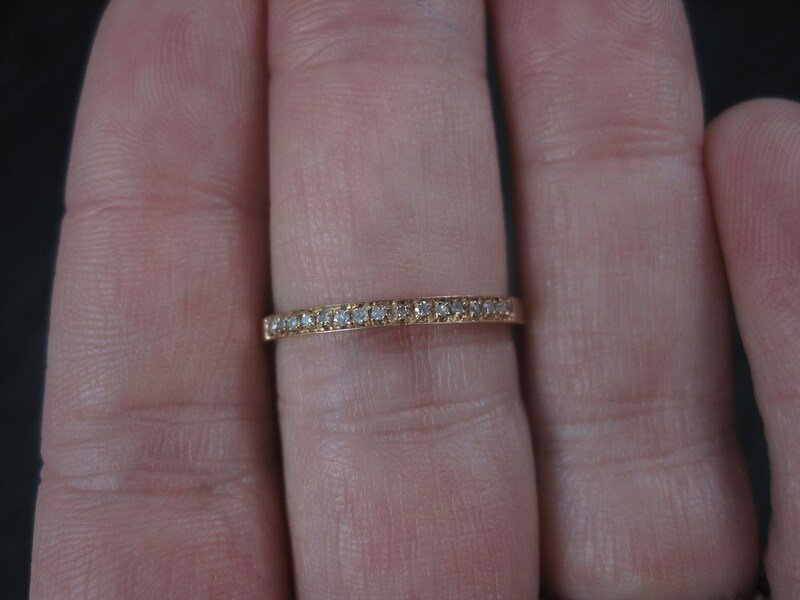 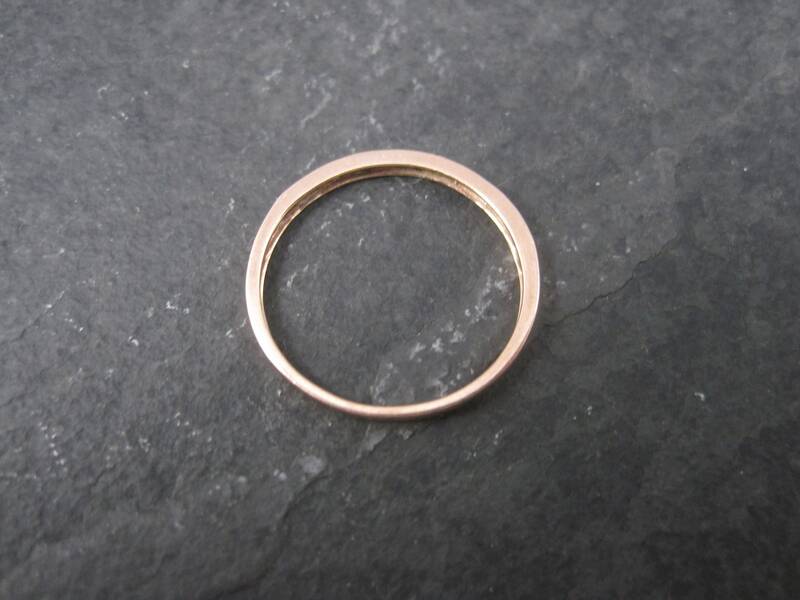 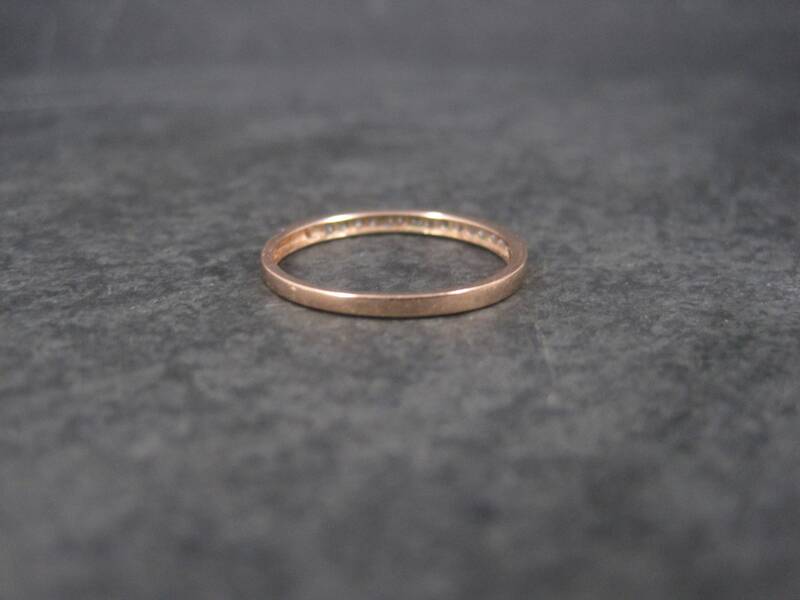 This beautiful 90s band ring is 10k rose gold. 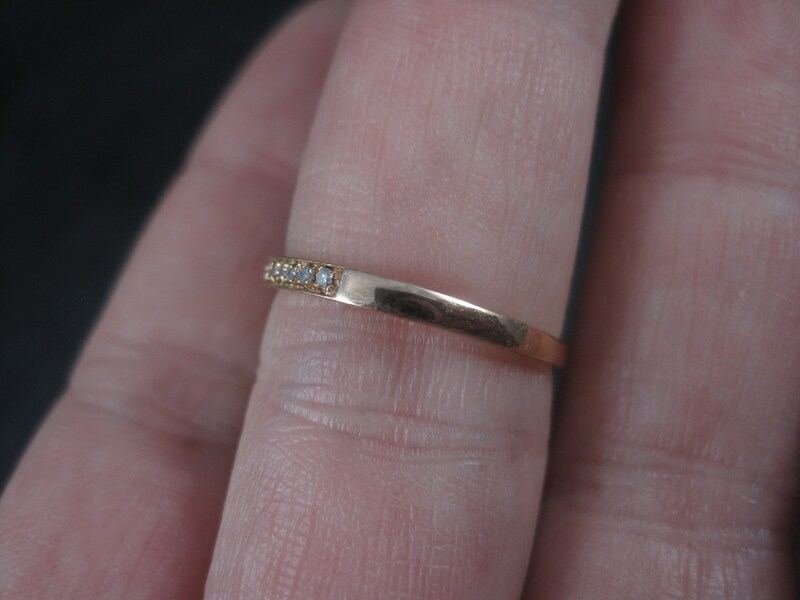 It features an estimated .10 carats in natural diamonds. 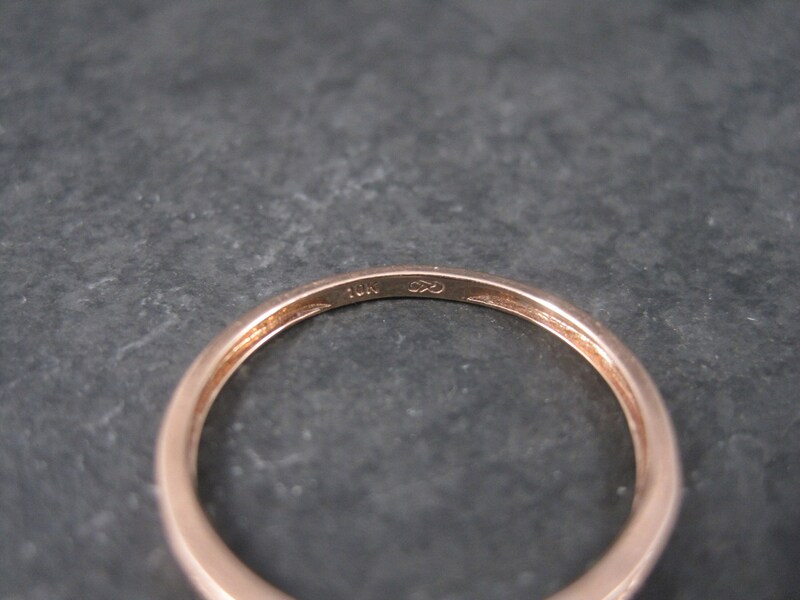 This ring measures 2mm wide.